The Veterans Clinic never got wind in the sails and we could not for some reason reach the men and women that so desperately need help digesting their experiences. Instead, if you are a veteran or first responder that wants to try ear acupuncture, please let me know – I will be happy to treat you during my clinic hours on Mondays or Thursdays. Please be sure to let me know the reason for your visit when you call for an appointment. PCVAC, a new initiative to promote support for Veterans, First Responders and their spouses. 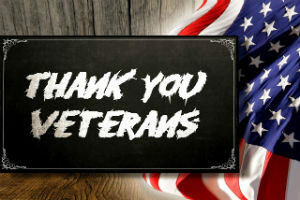 The mission of Putnam County Veterans Acupuncture Clinic is to provide free acupuncture treatments to Veterans, First Responders and their spouses in the Putnam area. The clinic offers acupuncture treatments in a supportive group setting at Mahopac Public Library. 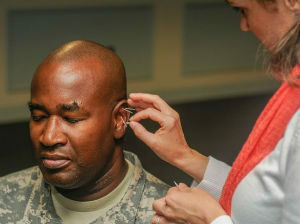 Auricular acupuncture is proven to alleviate symptoms of stress and trauma, and is an especially successful modality for treating symptoms of Post Traumatic Stress Disorder (PTSD). Treatments are given with patients sitting in chairs placed in a circle. The supportive group dynamic makes the treatment very powerful. Putnam County Vetrans Acupuncture Clinic (PCVAC) utilizes the NADA protocol, which is a five-needle approach frequently used to treat trauma and addictions in medical facilities around the world. All acupuncture needles used are sterile and disposable. The founders of PCVAC – Ellika Shilling and Jo Anne Tenzer – are Nationally Board Certified and State Licensed Acupuncturists in New York state. Both run acupuncture practices in the area (Brewster and Mahopac). Ellika and Jo Anne are passionate about bringing acupuncture healing to the women and men who have served and who are currently serving the community and the country in different capacities.